Whenever I am craving a cheesy indulgence that I can eat with my fingers and top with creamy guacamole and chunky salsa, nachos would be the obvious choice! Enter in Mini Bell Pepper Nachos: they are super quick and easy to prepare and you are indulging in all your cravings while essentially just eating veggies and a little cheese. Yes! 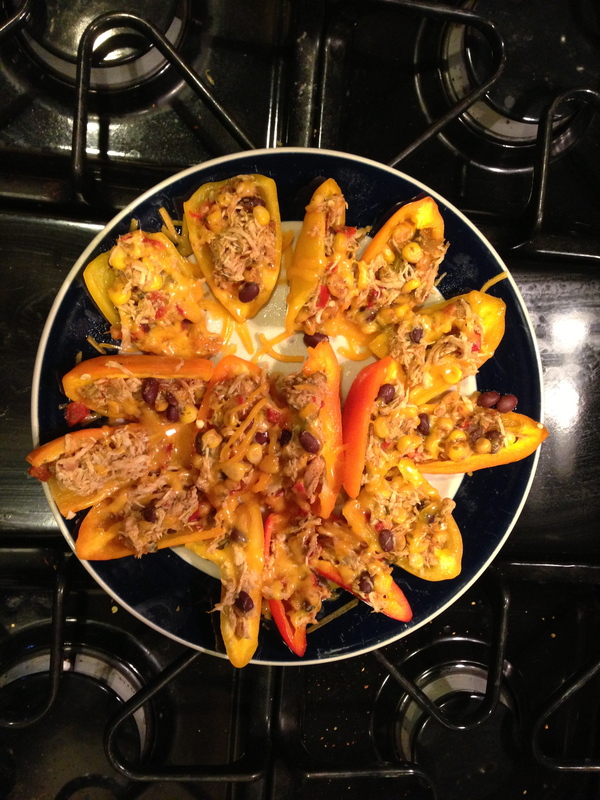 This entry was posted in Appetizers, Dinner and tagged dinner, gluten-free, lunch, savory, vegetable, vegetarian, veggie. Bookmark the permalink.